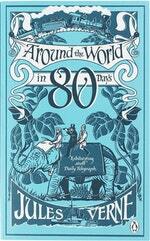 On October 2, 1872, an English gentleman makes a remarkable wager: He can travel around the entire world in a mere eighty days. 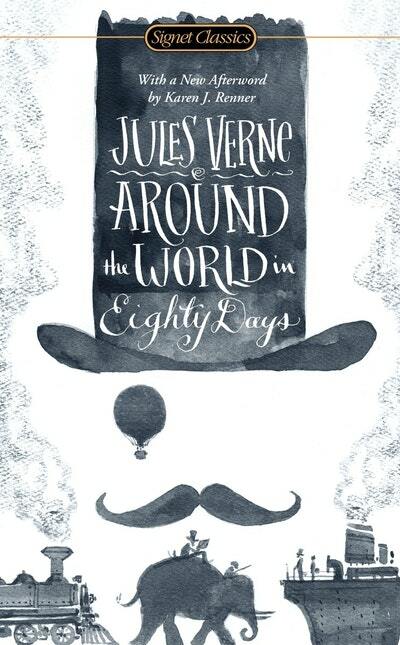 Thus begins Jules Verne's classic novel, which remains unsurpassed in sheer storytelling entertainment. 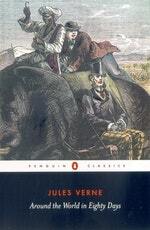 Phileas Fogg and his faithful manservant, Passepartout, embark on a fantastic journey into a world filled with surprises, danger, and beauty—from the shores of India, where the travelers rescue the beautiful wife of a rajah from ritual sacrifice, to the rugged American frontier, where their train is ambushed by an angry band of Sioux. With twenty thousand pounds at stake, Fogg's mission is complicated by an incredible case of mistaken identity that sends a Scotland Yard detective in hot pursuit. 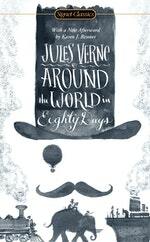 A riveting race against time and an action-packed odyssey into the unknown, Around the World in Eighty Days is a masterpiece of adventure fiction that has captured the imaginations of generations of readers and continues to enthrall us today. Love Around The World In Eighty Days? Subscribe to Read More to find out about similar books.